This frozen yogurt took me four tries to churn up. Four! I would say it's well-earned by now but that implies the first three tries were somehow difficult or the recipe is tricky, and it's not at all. But it's been a little while since I've taken my ice-cream maker down from its shelf, so it was good to get a reminder of what not to do with it. Definitely do not add a fruit puree of any kind to an almost-finished churning ice cream base. 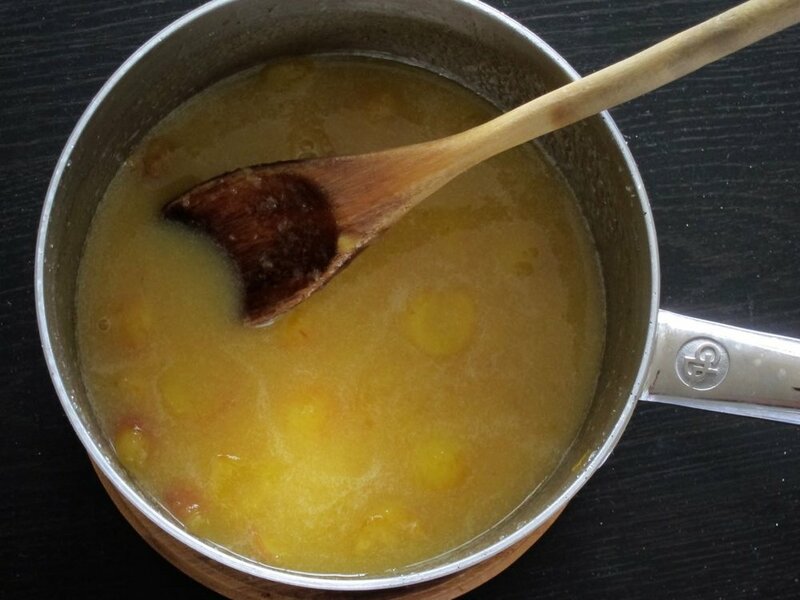 It WILL immediately become liquid again and if you are using the kind of ice cream maker that you have to pre-freeze, it will definitely not be cold enough to re-freeze your mixture. Remember to add that to the dairy base at the beginning, like the intelligent person you are. Freeze your churning container fully before use. If you make the mistake of #1, you have to wait another 12 hours or so until you can try again. Sorry, you do not get a cone today. If, after two attempts, you finally get your act together and successfully churn a batch of frozen yogurt, do not, I repeat, DO NOT, decide to start watching a binge-worthy show of any kind. You will forget that you are churning ice cream and return an hour later to find it has gone from almost frozen to liquified, and again, see #1 for why you are now screwed. Soooooo, not my finest moment, no. But in the end, after four days and four tries, I finally got to try my frozen yogurt, and oh my, it is lovely. I never did get a meta moment of eating Rainier cherries at Mt. Rainier, so I used them here, and they have a very mellow, but still tart cherry flavor that pairs excellently with sheep's milk yogurt, which I think is a bit tangier than its bovine counterpart and forms a rich, creamy frozen yogurt. I left half the cherries whole, so you get a nice, frozen fruit treat every few bites. Pit and halve cherries. Add to a pot with 1/4 cup sugar over medium heat. 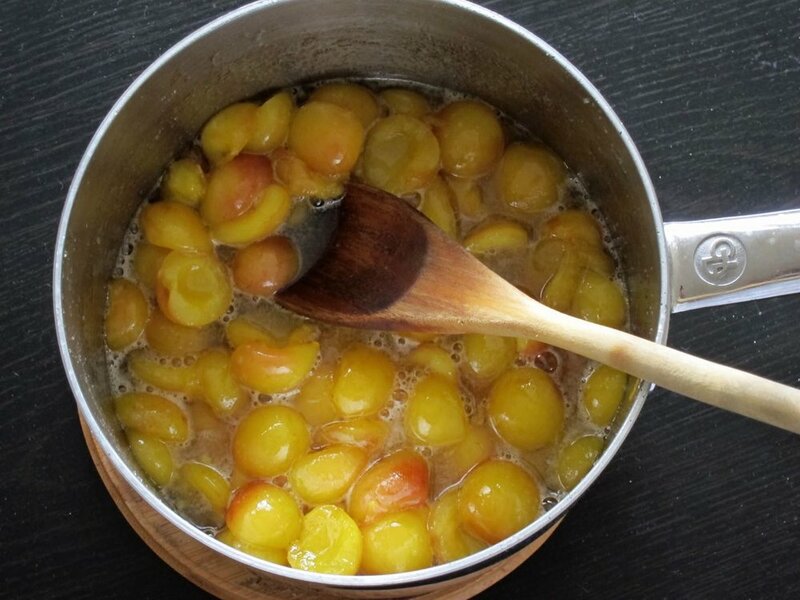 Cook until sugar is dissolved and cherries are soft and begin to break down and release juice, about 15-20 minutes. Remove from heat and divide in half. Puree half the mixture in a blender and then return to remaining cherries. Stir together with the kirsch, if using, and set aside to cool completely, then chill. Whisk together the yogurt, vanilla and remaining 1/2 cup sugar. Mix with the cherry mixture and chill for at least 1 hour. Freeze, according to manufacturers instructions, in an ice cream maker (see note). Spoon churned mixture into a freezer-safe container and freeze until hard. Scoop and serve as desired! The kirsch adds a bit more cherry flavor, but it is alcoholic, so if you do decide to use it, it will make the final product a bit softer. You may find that the yogurt mixture does not churn up as frozen as usual, but don't worry, it will freeze up fine and be easier to scoop, no thawing required!